There have been various scenes in Nollywood movies, where a police officer makes an attempt to arrest a citizen. Such citizen will often inquire about the reason for his arrest and the officer will respond that ‘when you get to the police station, you will find out the reason for your arrest”. I have always wondered if these scenes were solely fictitious or whether they stemmed out of the actual practice of the Nigerian Police Force. If the latter is the answer, this will come as no surprise as the Nigerian Police is not popular for imbibing international best policing practices. 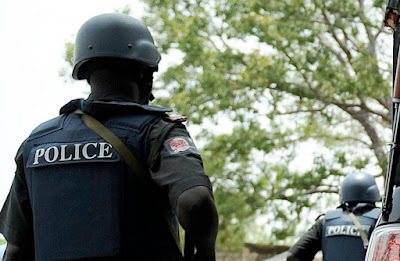 It is no secret that the Nigerian Police is still heavily into torture and extortion. Moreso, the average police officer is not educated on basic forensic protocols in crime investigations and rely usually on forced confessions and crude methods in solving crimes. However, this piece seeks not to criticize the police but to enlighten members of the Nigerian public on the question - Can a police officer make an arrest without stating the reason?. The relevant provision of the law which addresses this question is the Administration of Criminal Justice Act, 2015. “Except when the suspect is in the actual course of the commission of an offence or is pursued immediately after the commission of an offence has escaped from lawful custody, the police officer or other persons making the arrest shall inform the suspect immediately of the reason for the arrest”. From the above, it is clear that the answer to the question - Can a police officer make an arrest without stating the reason? Is “NO”. The ACJA provides that any such officer must tell you the reason for your arrest. Furthermore, a Nigerian police officer will usually not inform you that upon arrest, the person arrested has a right to remain silent and to refrain from making a statement until consultation with a lawyer as stated further in Section 6 of the ACJA Act 2015. Follow @legalnaija on twitter, instagram and facebook to learn more about your legal rights and obligations as a Nigeria.